This entry was posted on April 11, 2014 by Caja. Every second Friday evening De Verhalenfontijn (The Story Fountain) organises a storynight in Gallerie Kralingen Rotterdam. Before intermission everyone can stand up to tell a story, after intermission Caja and Michael will tell The Flying Dutchman. The legend of The Flying Dutchman (De Vliegende Hollander) is said to have started in 1641, set at sea around the Cape of Good Hope. Captain Willem van der Decken had just offloaded his cargo in Cape Town and was anxious to get back to sea again. His crew, however, begged to stay in port, as the weather was turning foul. Van der Decken would not listen and he sailed out of Cape Town straight into a hurricane. For days he fought against the elements, even lashing himself to the wheel, so that he would not be swept overboard. He cursed God, saying that even He could not make him change his mind and swore that he would sail on until he met the ends of the earth. The ship glowed a red colour and disappeared forever into the storm. The legend says that the Flying Dutchman continues to sail forever, as a ghost ship, trying still to sail around the Cape of Storms. 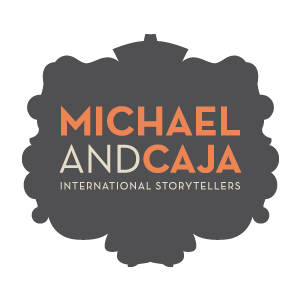 Caja and Michael explore the legend asking the question “Where is home when you are always traveling?” In between the truth, fiction and madness of the infamous tale, and drawing from their own experiences of a multicultural life, they hope to land upon an answer.